We have been providing carpet cleaning, area rug cleaning, upholstery cleaning, tile & grout cleaning and resealing, natural stone cleaning and resealing, and refinishing of hard wood floors in the Walla Walla valley since 1998. Our mission is to be the premier provider of cleaning service in the valley by providing the most outstanding service experience possible. We have been awarded 12 consecutive UB Best of the Best awards and the sweet service award from the chamber of commerce. We have been referred over 1870 times. In the Bible it says a good name is worth more than money. Every day we go to work to uphold our good name as the industry leader in the valley. Clean ‘n Dry has been in business in Walla Walla since 1998. We have tried almost every cleaning method. Through our experience we have found that hot water extraction will do the best job for you. This method, also known as steam cleaning, is required warranty maintenance by Shaw Industries the World’s largest carpet manufacturer. Clean ‘n Dry leads the way as one of the few Institute of Inspection, Cleaning and Restoration Certification (IICRC) certified firms in the Walla Walla Valley. Matt is an IICRC Certified Master Textile Cleaner. We constantly receive updates, attend continuing education classes, and follow industry trends on various bulletin boards. Click here to learn more about the IICRC. Every thing we do is part of your cleaning experience. Check out our Cleaning Systems page for more information. If you are not completely satisfied, we will re-clean for FREE. 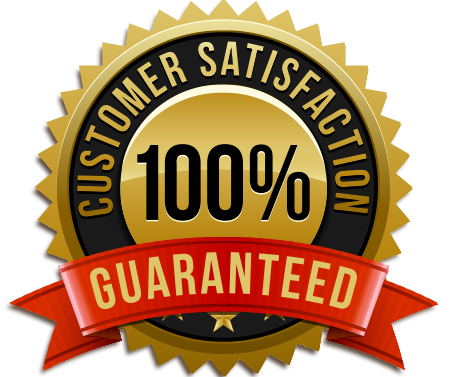 If you still not satisfied, we will refund 100% of your money, you risk nothing.